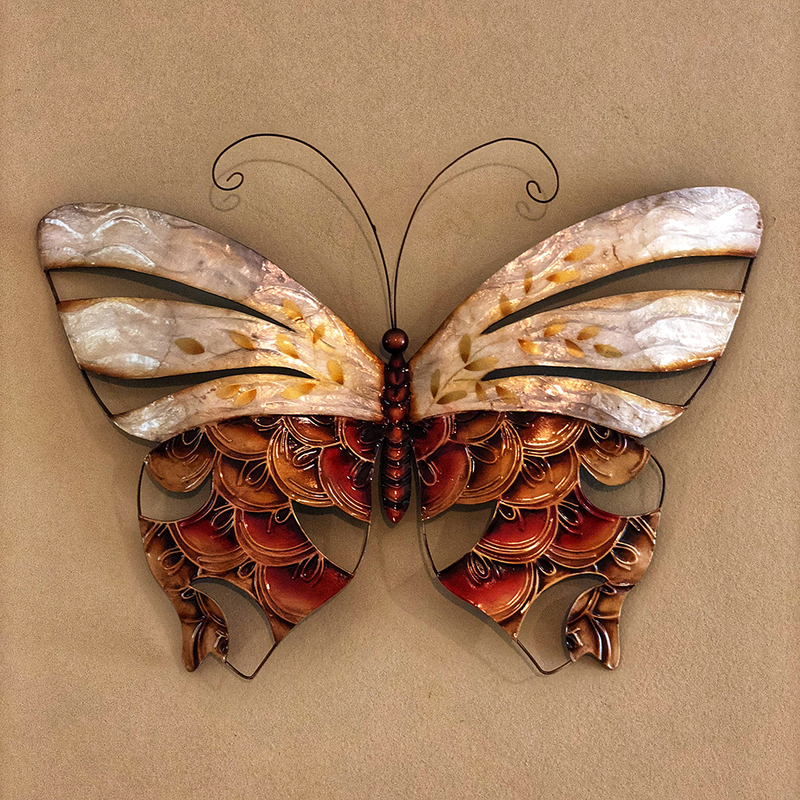 With contrasting designs and textures, the artist captures the light and airy spirit of the ever-popular butterfly. 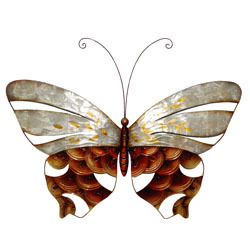 Subtle hints of yellow design rest on top of natural capiz shell. Architecturally the arches are used to help support a structure, while creating an open area underneath it. Arches are used around the world and have become a symbol of strength. 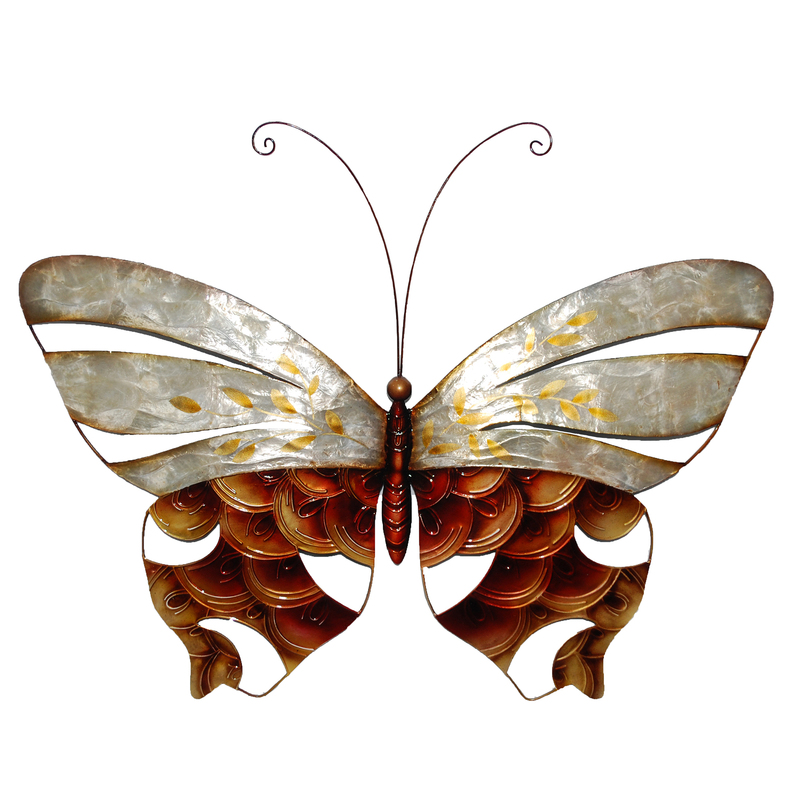 The lower wings feature a pattern of almost three-dimensional arches, symbolic to the strength a butterfly can represent.